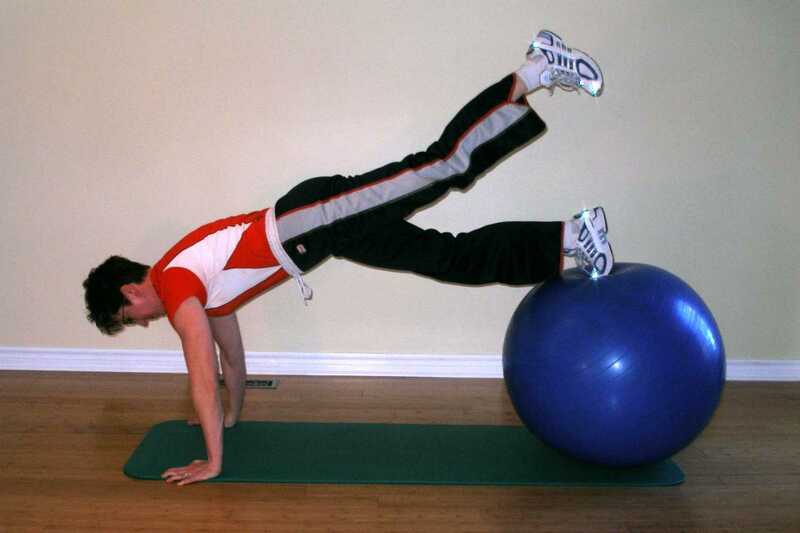 Start this exercise ball exercise in the ball plank position. Kneel on the floor in front of the ball and slide forward so that you are lying over the ball with the ball situated under your feet and your arms straight supporting your upper body directly under your shoulders. Contract your abdominals so that your back remains straight. Now raise one leg straight behind you. Slowly inhale as you lower yourself to the floor by bending your elbows. Exhale as you push your self back up. Don't lock your elbows at the top of the movement.